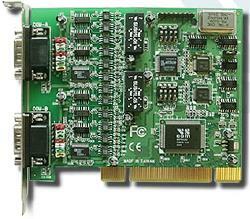 2 9-pin RS232/422/485 serial ports PCI-bus card. (16550 UARTs with 16-byte FIFOs.) 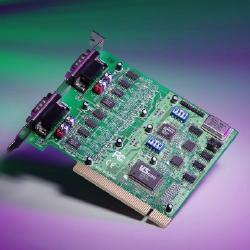 Provides optical isolation and surge protection.